HSV has developed a tremendous reputation for unveiling stunning concept cars at the Sydney International Motor Show – vehicles that push the extreme boundary of the performance scale but that also showcase exciting new real-world technical directions for Australia’s pre-eminent performance vehicle maker. The Holden Racing Team was saddened to learn today that former HRT driver and 1990 Bathurst winner Win Percy has unfortunately become a paraplegic. “Ultimately, this car will remain with us forever,” enthused Graeme Rutgers. He was on hand, with wife Sue, at a special handover ceremony at HSV’s Clayton headquarters to receive the keys for their #1 build HSV WK Grange – the first of HSV’s new luxury flagship model to roll off the production line and #1 of only 100 Granges to be produced in 2003. 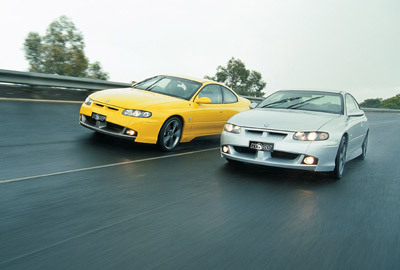 VY Series 2 and Coupé Series 3 models deliver exhilaration with a capital ‘E’. 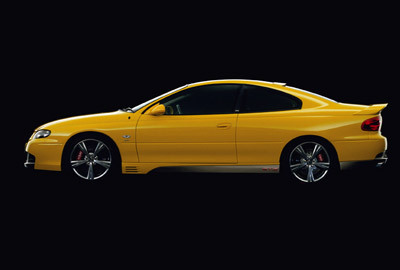 As a modern interpretation of a two-door performance car, HSV’s GTO Coupé lacks for nothing. The enthusiasm generated by the original Y Series is a significant factor in HSV reaching record sales levels for the first seven months of 2003, putting the company on track for it’s sixth successive year of record sales. HSV Builds it’s 40,000th vehicle. "They say time flies when you’re having fun .... and amazingly, it has been nearly 16 years, and a lot of fun, since we rolled the very first HSV off the production line" said HSV’s Managing Director, John Crennan, at the company’s latest milestone celebrations.